My little boy, who is four, was ill this week. He had two days off school, and after re-organising my work schedule (the beauty of running your own business) it was quite nice having my little friend at home with me. I was even able to work on some pieces of furniture for the business whilst he snuggled on the sofa…he was so exhausted that he pretty much stayed there all day. The following day, although still not well enough to go to school, he was a lot perkier. 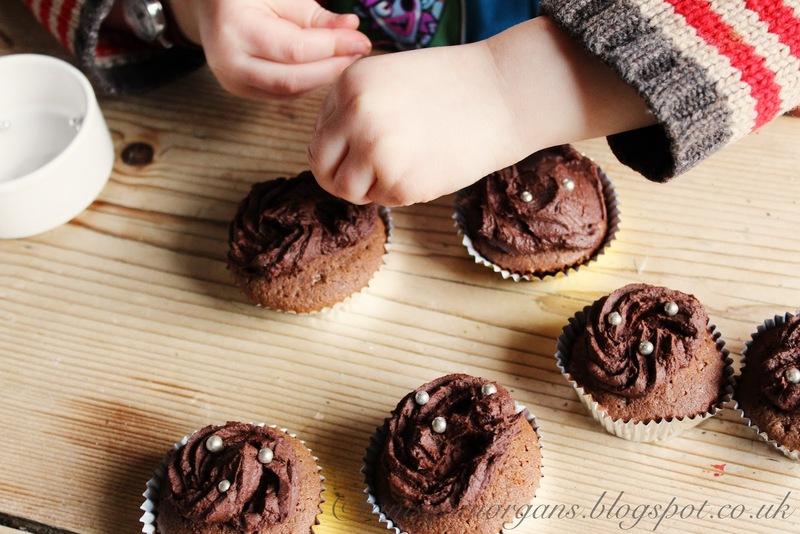 He decided he wanted to bake with me, and that is exactly what we did. 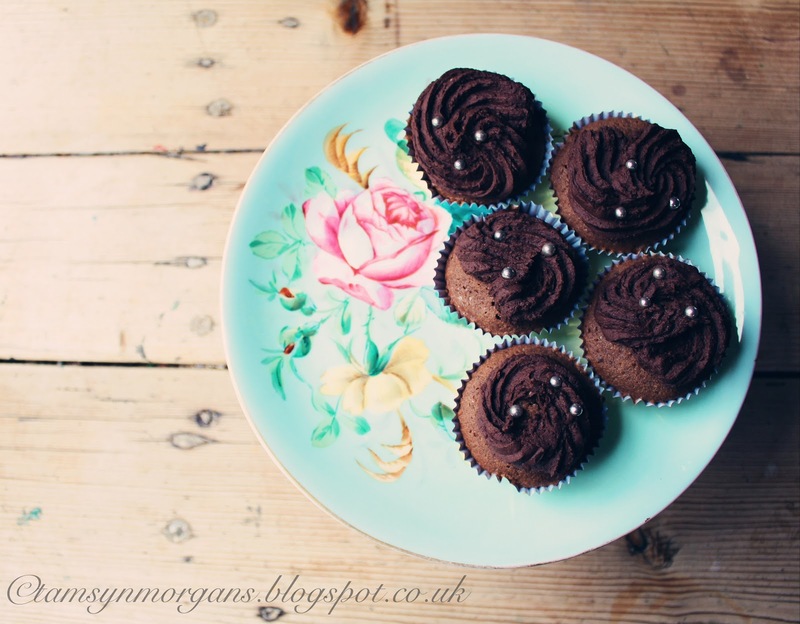 Chocolate fairy cakes with buttercream icing anyone? 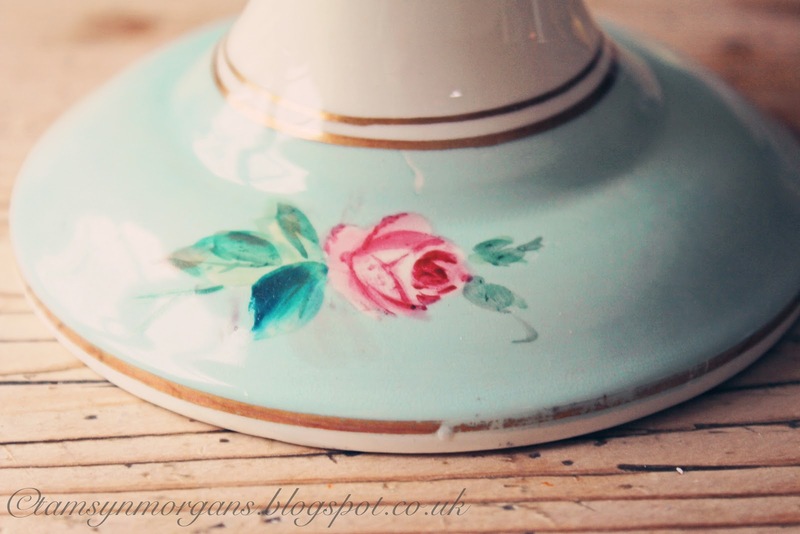 There is something so lovely about cupcakes displayed on a vintage cake stand, so I had a rummage in my cupboards and found this one. 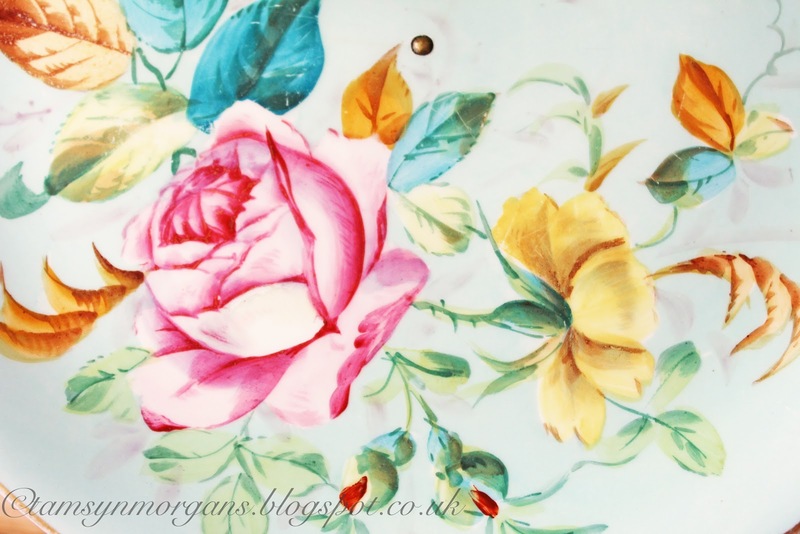 A lucky car boot find many years ago, it was love at first sight…the candy colours, chipped gold paint and hand painted roses…I wonder if once upon a time it had a tea set to go with it.